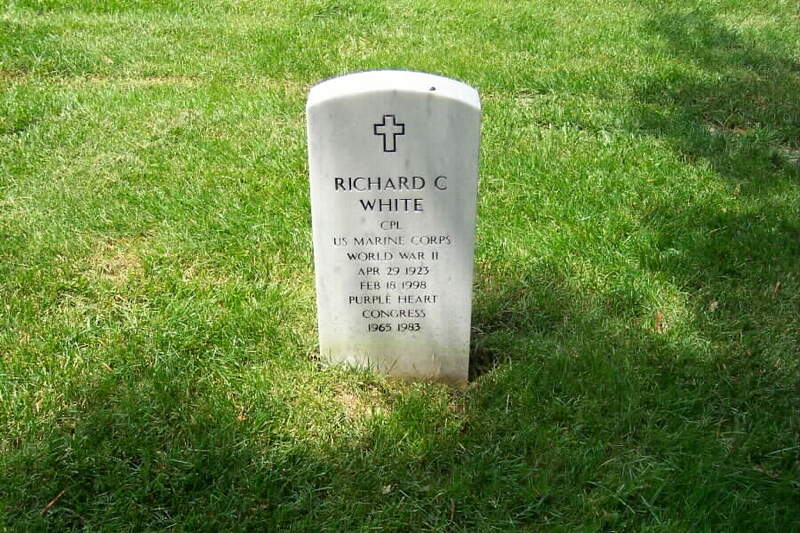 Richard C. White, 74, a Texas Democrat who served in the House of Representatives from 1965 to 1983, becoming a subcommittee chairman on the Armed Services Committee, died of cardiac arrest February 18, 1998 in El Paso, Texas. Mr. White won election to the House in 1964 from El Paso and did not run in 1982 for re-election in his 16th District. He returned to El Paso and practiced law. During his years in Congress, he served for a time as chairman of the Democratic Research Organization and gained a reputation as a proponent of civil rights. In addition to Armed Services, he also had served on the Interior, Post Office & Civil Service, and Science & Technology committees. Mr. White, an El Paso native, served with the Marine Corps in the Pacific during World War II. He was a rifleman and Japanese interpreter and received the Purple Heart. He was a 1946 graduate of the University of Texas and graduated from its law school in 1949. He then began practicing law in El Paso. Before running for Congress, he had served from 1955 to 1958 in the Texas Legislature. Interred 29 April 1998, Section 7A. 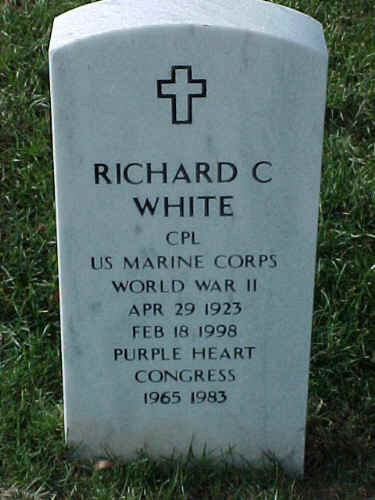 Richard C. White served as a Texas state representative and later as a member of the US house of representatives. Prior to his public service, he served as a Japanese-English interpreter in the Pacific Theater of the United State's World War II. He received a purple heart, and returned safely to El Paso, Texas. When he originally returned home, he often said that he was unable to sleep in such safe conditions, and consequently hung a sword above his bedding. While in College, later, he also had similar difficulties in transitioning as random people made "whistling" sound that instinctively reminded him of a mortar; he was comically embarrassed by his reaction, even in his later years. His war year haunted him as he always wished to compose his memoirs or other anecdotes of that time in his life, he never fully realized that goal. His son Brian later felt compelled to take his father's private wish and use it to inspire his own desire to write. Mr. White was married twice. His first marriage was to a childhood friend, Kathy. They had three sons: Rodrick, Richard, and Raymond. His second marriage was to Kathleen Fitzgerald in 1973. They had one daughter and two sons: Bonnie Kathleen, Sean Carrol, and Brian Fitzgerald. In the winter of 1984, they moved from Washington D.C. to El Paso Texas. WHITE, Richard Crawford, a Representative from Texas; born in El Paso, Tex., April 29, 1923; graduated from Dudley Primary School, and the El Paso High School, and the Citizen’s Military Training Camp at San Antonio, Tex. ; attended Texas Western College, 1940-1942; graduated from the University of Texas in 1946 and from the law school of the same university in 1949; was admitted to the bar in 1949 and began the practice of law in El Paso; served in the United States Marine Corps as a rifleman and Japanese interpreter in the Pacific Theater, 1942-1945; was awarded the Purple Heart; served in the State house of representatives, 1955-1958; served as El Paso county chairman, 1963-1965; elected as a Democrat to the Eighty-ninth and to the eight succeeding Congresses (January 3, January 3, 1983); was not a candidate for reelection in 1982; returned to the practice of law.